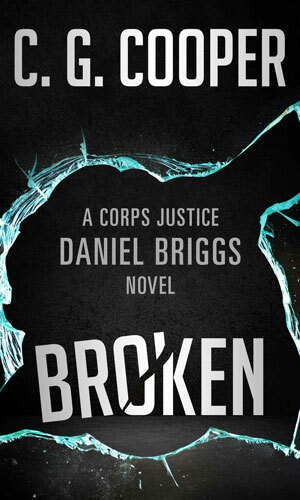 Daniel Briggs is a member of Corps Justice. That term refers to an internal, unofficial part of Stokes Security International (SSI), a highly successful corporation dealing in security matters. SSI does not concern itself with office security or night watchmen but rather bodyguards, facility guarding, private militia operations. Big ticket items. As mentioned in the page devoted to that group, "If one needed a lab or factory made more secure they might call SSI. If a traveling executive was heading to a potentially troublesome area, an SSI bodyguard team might be procured. Should a small army be needed for protection, the detachment from SSI might not be huge but each member was worth a dozen troops." Briggs is a quiet, somber man who had seen his share of devils and, in his opinion, been one a time or two. A former Marine sniper who had earned one or two medals the hard way and even been in the running for the top Medal of Honor (he asks to have his nomination withdrawn which the President publicly did but then privately went through with it), Briggs had been given the nickname of 'Snake Eyes' because of his impressive ability to hit what he aimed at almost regardless of the distance. If the rifle had the distance, Briggs had the skill. The demons that plagued him for so long would eventually drive him to drink and that drove him to dark places he no longer wanted to remember. Giving it up was rough and only possible because he found Someone stronger than himself. Still, even after he found this new peace he would be reminded over and over how dangerous the world around him was and, almost to his sorrow, how dangerous he could be back at it. Daniel Briggs entered the world of Cal Stokes and SSI in the second adventure in the series and has remained a near constant from then on, becoming Stokes' best friend and unofficial body guard and playing a major role in most of the missions throughout. Prior to his meeting Stokes, however, he had his own life and the first four books in the series depict some of those experiences. When Daniel Briggs wakes up one morning hung over and having no memory of the night before, he is in for a fun day as the powerful family in the small Florida town he antagonized certainly remember. The small community of Old Orchard Beach, Maine, looks like a place where nothing bad would happen. Daniel Briggs will soon learn that there is more than one source of evil to confront him. In Seattle, Washington, Daniel Briggs is finally finding some solace to help quiet the demons inside him but he would come upon forces that will require he bring out the badness in himself to survive. 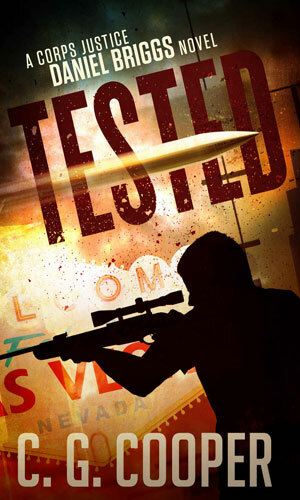 In Sin City, Daniel Briggs figures one way to handle the guilt inside him is to help others and in Las Vegas, there are a lot of people who need help. 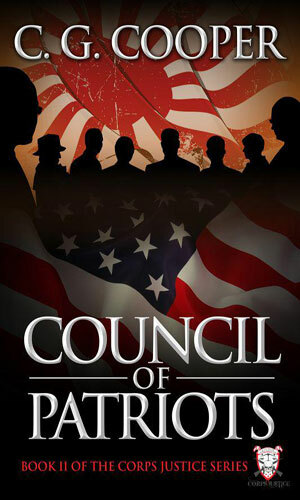 Book 2 in the Corps Justice series - Cal Stokes and the group from SSI are in Sin City to reveal a covert group that wants to take down the Democratic National Convention en route their own form of government. Book 3 in the Corps Justice series - A friend and colleague of Cal Stokes from SSI has disappeared and Stokes wants to find him. This take him to Jackson Hole but as he and the SSI team looks for the friend, the enemy is awaiting their arrival. 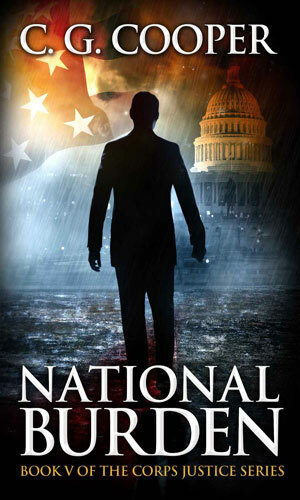 Book 4 in the Corps Justice series - The President needs the help of Cal Stokes and SSI to ferret out the leak in his administration and stop those wanting to steal the government. 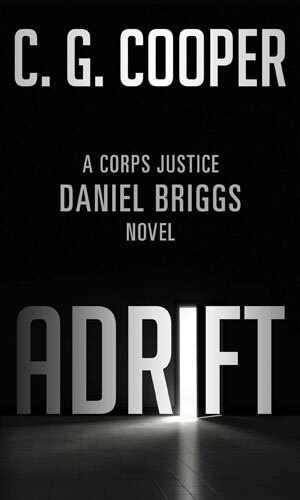 Book 5 in the Corps Justice series - The new President has lots of people pushing for his failure both inside the country and out. 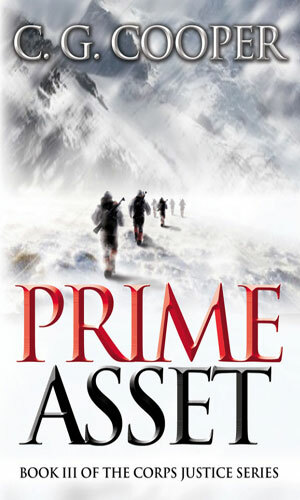 To help him, he asks for the talents of Cal Stokes and SSI and their first task is to find who is messing with the nation's economy. 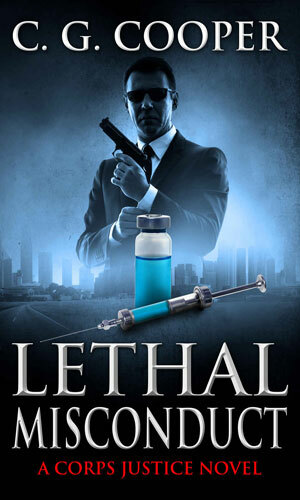 Book 6 in the Corps Justice series - One of the world's deadliest diseases has been cured but someone wants to keep that discovery hidden. 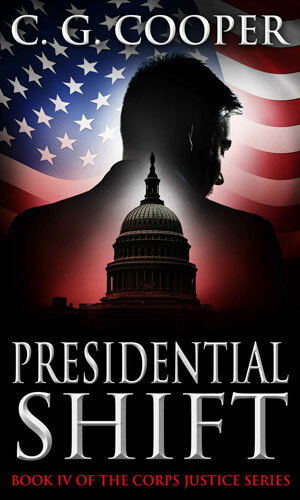 Cal Stokes and SSI are sent by the President to keep the inventor alive. 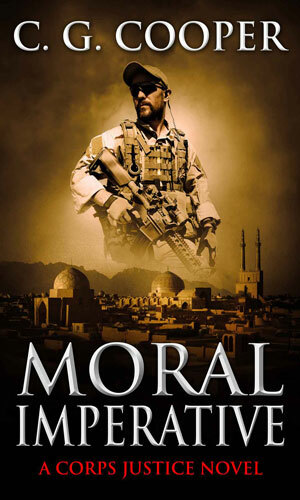 Book 7 in the Corps Justice series - ISIS is making tremendous headway in Iraq destroying whole villages. Cal Stokes and SSI wants to strike back and is given permission by the President to make a stab at it. 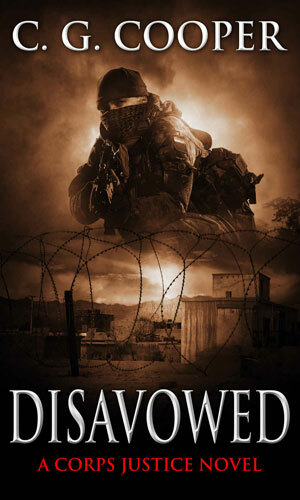 Book 8 in the Corps Justice series - A Marine major on loan to the CIA in Afghanistan is captured and the Agency has disavowed any connection. He was able to get one call out and that was to his friend, Cal Stokes, who is now involved. 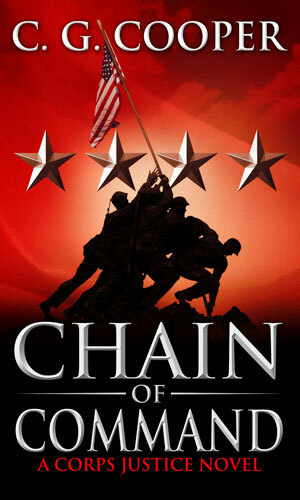 Book 9 in the Corps Justice series - The new Marine Corps Commandant is very concerned about a growing problem in his branch of the service and he appeals to Cal Stokes and his team to help look into it. 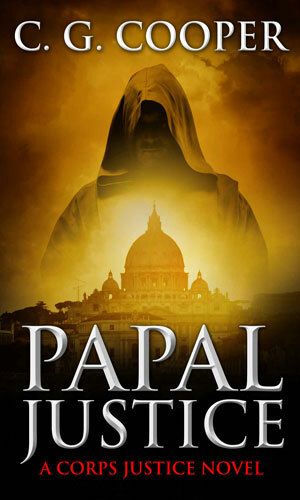 Book 10 in the Corps Justice series - The Pope wants to strike out against the terrorists who are targeting Catholic priests. He appeals to the President who asks Cal Stokes and team to work with the Pope's own group of warrior monks. 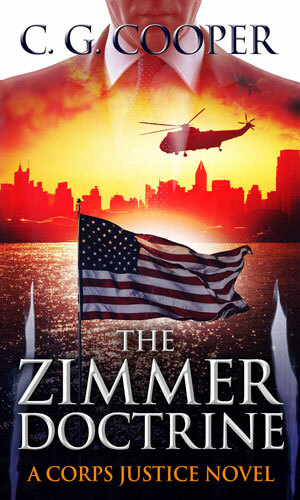 Book 11 in the Corps Justice series - Just when President Zimmer looks like he needs the help of Cal Stokes and his team the most, Stokes is suffering from a feeling of dread and failure. 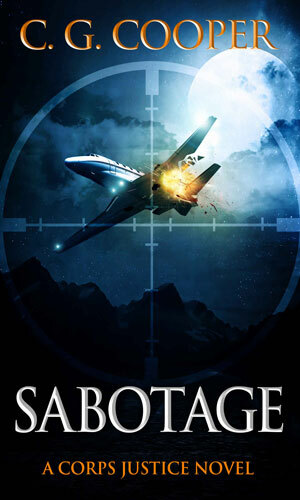 Book 12 in the Corps Justice series - An elite team of operatives is sent by the President to spy on another superpower but on the way home, the team is shot down and must ask for help from Cal Stokes and his group. 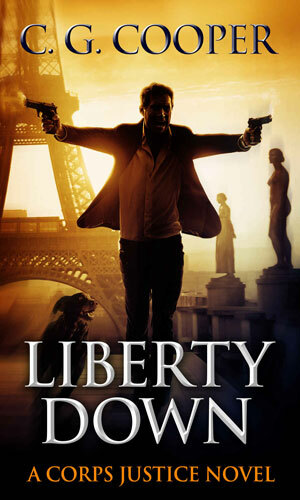 Book 13 in the Corps Justice series - Cal Stokes and his team are taking a well-deserved vacation in Europe when they are attacked by a group out to destroy Stokes and company as well as also take down the President. 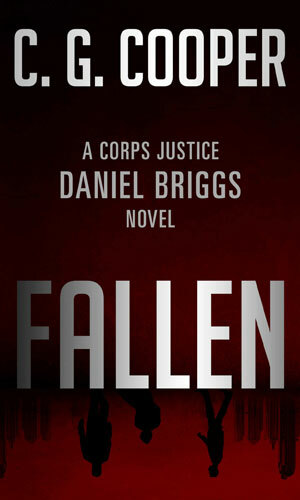 It is hard to pin down why I enjoy the two interconnected series, Daniel Briggs and Corps Justice. The writing is good. The characters well developed. The plots interesting. The bad guys sufficiently nasty. But I think it is the pacing more than anything. The stories flow and take the reader along with them without any effort and that is the sign of a good storyteller. When you reach the end of an adventure and are sorry it is over, that is a good thing. And when you look forward to starting up the next book, that is even better. I have read just about every adventure Briggs has been in and if a couple more come my way, either from before he hooks up with SSI or after, I know that I will give out a few of my dollars to get my hands (digitally, of course) on them. That is my highest compliment these days.